Were the words of Lee McQueen that greeted me when I entered the Alexander McQueen: Savage Beauty exhibition last weekend. 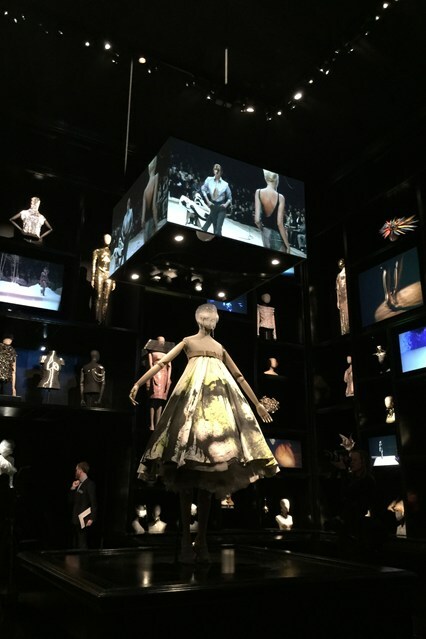 After months of anticipation and build-up, the pressure was on for the V&A to deliver and display the world of Lee McQueen in all its horror and beauty. After reading numerous reviews, watching documentary’s (BBC – Private View, Tinie Tempah on Alexander McQueen) and snippets of the show here there and everywhere I felt like I already had a pretty good idea about what the exhibition was going to entail. However, nothing could have really prepared me for the show, theatre and emotion of McQueen that I experienced. 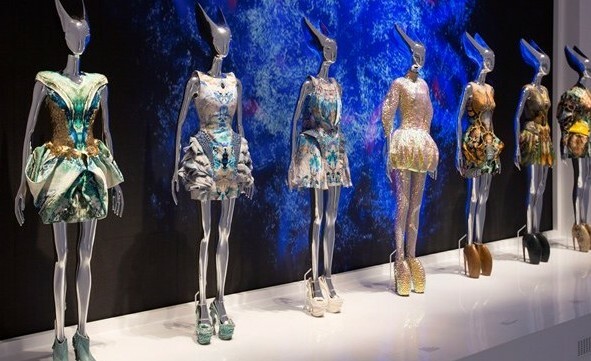 From the beginning to the end, every collection of McQueen is represented throughout the exhibition in some way. With his quotes and phrases scattered all over it is Lee that introduces the visitors into each room. Beginning my tour and approaching the first room I instantly got an overview of what the collection is representing. The combination of the decoration, music, lighting and his own words describing every source and inspiration, instantly portrays the emotion that he had. With such a strong story told through each collection you are able to grasp some idea of what was going through Lee’s head when creating these beautiful, innovative and avant-garde designs. Many of these clothes are exceptionally beautiful; they’re as close to being works of art as fashion ever comes. But many are exceptionally disturbing too: suggestive and cruel. Each collection are displayed in magnificent and intricately designed rooms, each one dressed to match a theme: a gallery full of tartan is wood-panelled whilst a group of tribal-inspired designs is set against walls that are covered in bones. McQueen designed from the side, the body’s worst angle, to ensure his clothes worked all the way around. McQueen’s dresses and jackets smooth and sculpt, their often unconventional twists and turns cleverly distract from all the things a woman most wants to hide. 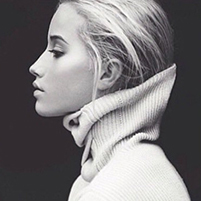 Who, for instance, is going to care of even notice about the angle of your jawline when your jacket is so rigid and well structured it seems actually to have made you grow taller, straighter and magically thinner all at the same time. Of the most beautiful pieces is a dress from McQueens 2010 collection ‘Angels and Demons’ – whose bodice, sleeves and high collar are formed of golden feathers. It is a gown that would make any woman fly, metaphorically if not literally. My favourite part of the exhibition is without doubt the Cabinet of Curiosities (as seen above), allowing us to experience the evolution of Lee as an artist. At the show’s hear the cabinet of curiosities is packed with treasures from floor to ceiling of all four walls. The room created is a towering montage of shoes, dresses and accessories, interspersed with the sound of scissors slashing and video screens showing snatches of the shows. In the middle of the room, slowly revolving, is “Dress No. 13”, which was created live on the catwalk by industrial robots for the finale of the Spring/Summer 2008 show. To see the clothes in motion is breathtaking. It is a remarkable show and without a doubt will be a huge success for the V&A. After my visit I can understand how Savage Beauty stands a strong chance of being the most-visited exhibition of the year globally. McQueen, ever the showman, I’m sure would be absolutely delighted. In the evening I was lucky enough to attend a talk by Sarah Burton and her experiences and time working with Alexander McQueen at the Victoria and Albert Museum. 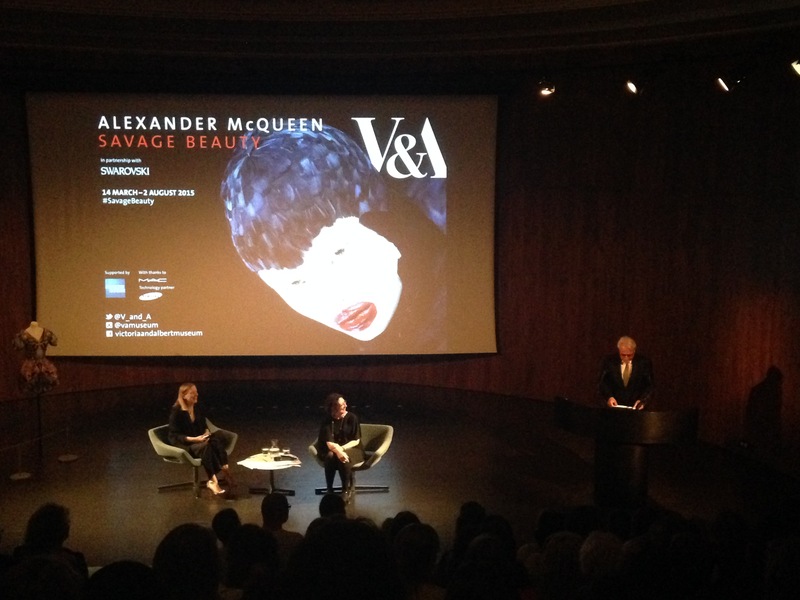 The V&A’s evening events programme features talks, discussions and interviews with leading figures in the worlds of fashion, architecture, performance, and design. Speakers have included Bryan Ferry, Renzo Piano, Stephen Fry, Tom Ford, Judi Dench, and Zaha Hadid. For the evening that I chose it was a chance for Sarah Burton as the Creative Director for Alexander McQueen to discuss her work, experience and memories that she has from all the years working along side Lee McQueen. The talk was initiated by Claire Wilcox, Savage Beauty curator, who, along with a slideshow of images, chronologically talked through each collection with Sarah Burton and all the designed that she had assisted with at McQueen. Describing in detail of the inspiration behind each collection and how Lee designed and created each garment. With tears and laughter it instantly became clear that to Sarah Burton, Lee McQueen was a truly special, unique and inspirational man. Claire Wilcox: I think firstly the main question that we all want to know is what was he like? Sarah Burton: I got quite emotional after that – He was a lovely lovely man. I think a lot is said about all this darkness and tragedy but he was very funny, honest and very loving.